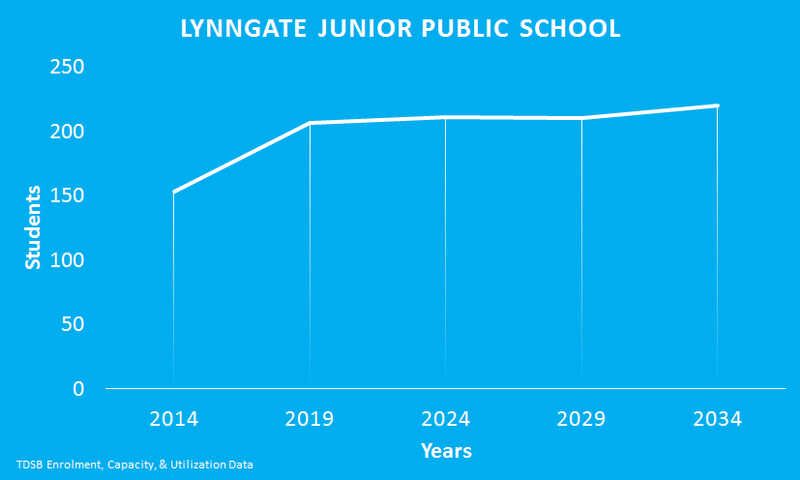 Lynngate Junior Public School’s utilization rate is currently above capacity. The TDSB projects that the school’s enrolment will continue to grow over the next 20 years. Lynngate Junior Public School has a Home School Program and an Intensive Support Program for students diagnosed with Autism.